Alaska’s legendary Iditarod Trail Sled Dog Race presents the challenges of wilderness, weather, endurance and teamwork across more than 1,000 miles of the Alaskan frontier. Known as The Last Great Race on Earth®, no other event combines these largely unpredictable factors in a solo pursuit that can take more than two weeks to complete. Every March, participating mushers harness their sled dogs and set off from Anchorage in this historic race against time. As many as 16 sled dogs may be enlisted by each musher to cross the finish line in Nome, and to accomplish such a feat requires immeasurable effort. Mushers are entirely reliant on the health, stamina and intelligence of their sled dogs to successfully complete the journey. The athleticism of Alaskan sled dogs is nothing less than extraordinary. Their herculean aerobic capacity, ability to run hundreds of miles and adaptation to sub-zero temperatures are far beyond human comparison. Born to run, many of these Huskies and Malamutes are descendants of accomplished Iditarod sled dogs of the past. Trained as leaders, wheelers, swing dogs and team dogs, each canine has a specific purpose and position on the team. Lead dogs, in particular, exhibit remarkable intelligence through their ability to guide a team solely by understanding and reacting to the spoken commands of a musher. To experience the coordination and determination of sled dogs working in unison is awe-inspiring. Yet beyond this perfect blend of form and function, it is the companionship, spirit and lovability of these athletes that so endears us to them. Never content to do what’s been done before, Fashion and Portrait photographer Albert Lewis sought to portray the sled dogs apart from their usual race environment, in a new stylistic and personal context. 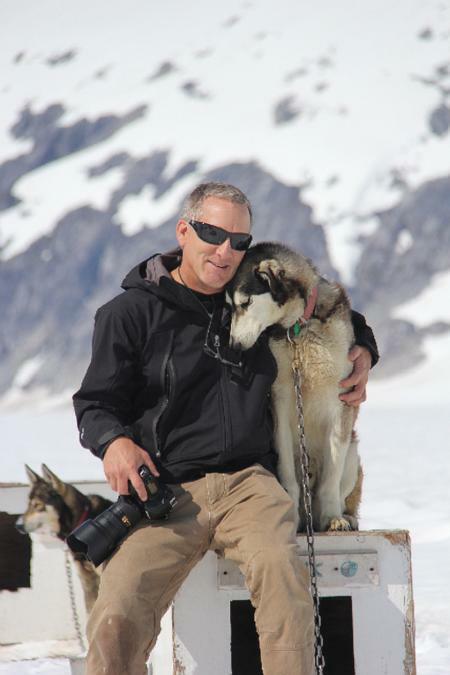 He wanted to photograph each sled dog individually, as an accomplished athlete with personality, beauty and drive. With this as his goal, Albert set off on a monumental venture to meet the mushers and photograph the sled dogs of dozens of kennels that participate in the Iditarod. He drove more than 4,800 miles, shot for 25 days and photographed over 360 sled dogs at 34 locations — purely out of his desire to portray these athletes in their own special light. Away from the tundra and the trail, Albert photographed each sled dog on a simple, clean backdrop — allowing fur, features and big personalities to be fully expressed like never before. Through Albert’s gifted lens, these sled dogs speak to us in their own way, poignantly reminding us of the precious things we share between us... life, love, the last frontier and the annual journey to a far, distant place.